Surface Laptop - Here are the things you should know! 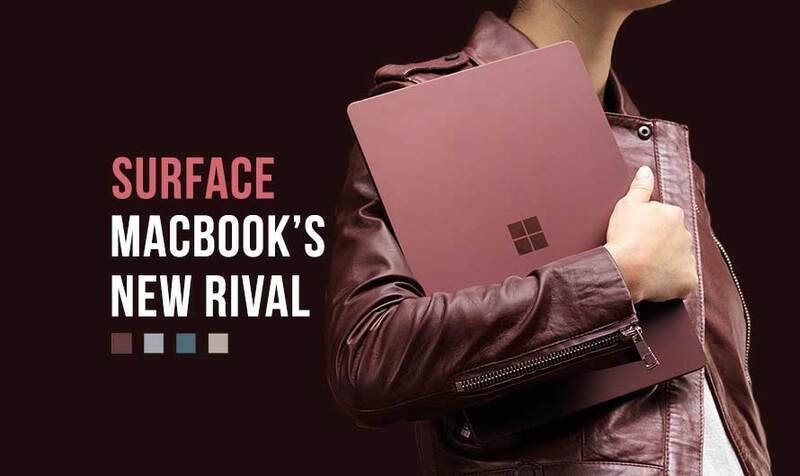 Microsoft launches its passionate artefact, the Surface Laptop! Our first thoughts on the new Microsoft Surface laptop. American tech giant Microsoft launches a new product in its Surface lineup, the Surface Laptop. And it’s nothing short of a passionate artefact. Mainly targeting the education market, this laptop comes as a competition to Google’s Chromebook and Apple’s MacBook. Read our two cents about this new device from the house of Microsoft. With this laptop, Microsoft has gone back to the conventional manufacturing and brings out a full-length laptop. No. It’s not a tablet. No, you cannot dissect it and use it. It’s not a phablet either. Just get into your head that it’s only a traditional laptop, but sleeker, and more advanced. It’s open to pre-orders in the US and there isn’t any official update about its Indian release. The Surface Laptop price is $999. 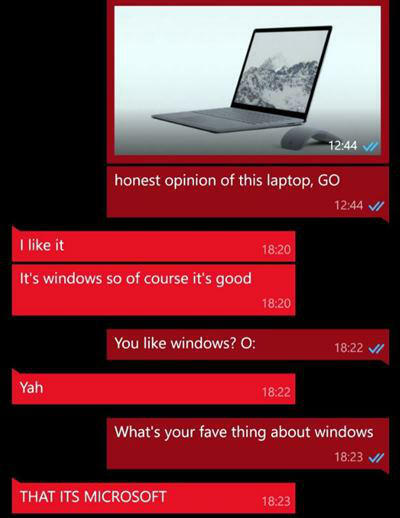 Let’s talk about the basic specifications the Surface is made of. With a 13.5-inch display and a divergent 3:2 aspect ratio, this laptop uses less space when compared to a 14-inch and above device, but gives out a better experience than a device of the 14-inch family. 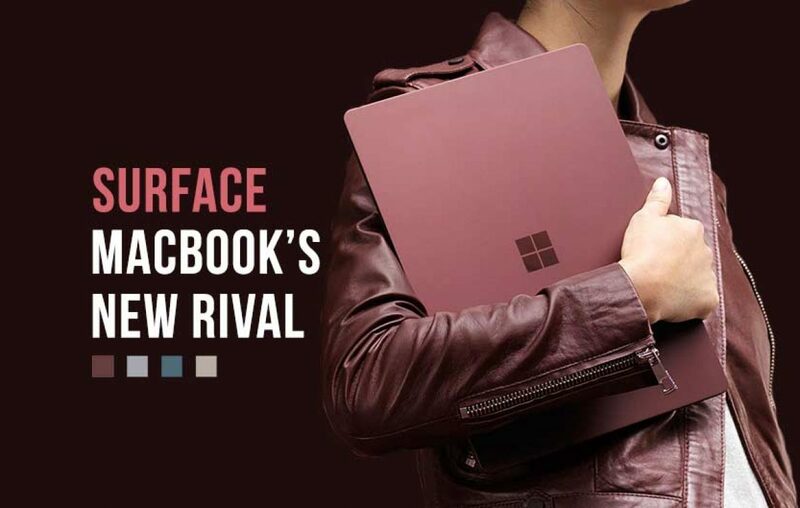 With 4GB RAM, 128GB disk space and Intel i5 processor, these laptops come in four different colors: Burgundy, Platinum, Cobalt Blue, and Graphite Gold. Fret not! 128GB is not the only space you get. These laptops come in different variants, i5 processor with 256GB, i7 processor with 256GB, and finally, i7 processor with 512GB. With the much longer introduction over, let’s talk about this product by discussing the pros and cons of it. Like what’s hot and what’s not. Like what’s interesting and what’s Twilight franchise! 🙂 Its design. Without any nails, hinges, or grilles can be seen, this clamshell-built device of 14.5mm thin looks elegant and well groomed. Also, it’s pretty weightless. Weighing around 1.5kg, much lesser than MacBook Air, this Surface Laptop can be carried around without much difficulty. Except for the tiny holes for air outlet, there isn’t any mechanical scene or physical partition you can see on this masterpiece. It’s almost like you molded it right out of the mud. And what about the audio speakers, you ask? Well, they’re placed right below the keyboard. Music right at your fingertips, but yeah, in a different way! 🙂 Another interesting thing about the Surface is its display. With over 3.4 million pixels in its screen, this laptop is nothing short of a magic. Even the regular PC makers like Dell and HP are not able to pull off this trick. Also, this display comes with touch screen feature and yes, it supports the Surface Pen, you Picasso, you! 🙂 And its battery. Microsoft claims that with one full charge, the battery can last up to 14.5 hours. Yes, yes! Right from your morning lectures to evening’s Netflix binging, it won’t stop! 🙁 For instance, this Surface laptop does not come with USB type-C connectivity. USB Type-C allows you to transfer data faster and many pundits think that this technology will take over all devices in near future. Where the world is running forward towards latest technologies and innovations, Microsoft has taken a rain check on this! 🙁 And lastly, the keyboard. We don’t know the reason yet why Microsoft has decided to cover its keyboard with fabric, but we will let you know right after we learn. The Alcantara-covered keyboard gives you the feel of holding those 90’s car steering. But who knows, maybe it’s all for good as the material is durable and have a decent stain resistance. 🙁 Another uninteresting thing about this laptop is the fact that it runs on Windows 10S. The new OS from the house is a typical conventional software which doesn’t allow you to use third party applications. Every app you use in this laptop should undergo the Microsoft verification and you can use the app if and only if the 10S allows. Well, reportedly, you can’t even change your default browser. So, good luck using the Internet Exploder! Sorry, explorer! However, there are so many Windows fans who don’t bat an eye at this disadvantages, as they are and have been loyal to the company ever since the beginning. Are you like one of them? Let us know in the comments! So all in all, this Surface laptop can give its competitors a run for their money. Microsoft’s CEO Satya Nadella said that this laptop is mainly aimed to serve the students of today and also ‘to empower them to create the world of tomorrow’. Let’s hope! 10 years of iPhone. A throwback to the evolution!